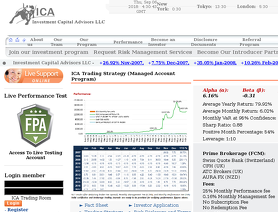 I used to work with ICA in the past - their man guy also traded one of my accoutns. We used it as a managed program as well. The program is aggressive, but on the other hand the performance is really good.